Basically, a poke on Facebook is the same as a like, with a more ambiguous purpose. According to the Urban Dictionary, a poke “is a way for users to say ‘hello’ to or show interest in a friend without having to go through process of actually writing/forming sentences.”Essentially, a Poke is means to get your attention, flood your notifications just for fun, or an excuse to flirt. Facebook initially created the poke, as a cool feature without any specific purpose to be interpreted by people the poke in many different ways, and the encouraged people encourage you to come up with their own meanings. Whether you find a poke sweet, unimpressive, or creepy or not is entirely up to you. A Poke is arguably an outdated method of flirting. Direct messages or 'Sliding into DMs', is the new way to get people's attention on social media. How do you Poke someone? First, choose the person you'd like to poke. Go to their profile. This is totally up to you but you could take a minute to consider if the person you are about to poke knows the message you are trying to get across. Click on the “…” button beside the Message button. A drop-down menu will give you several options. Click on Poke. Your poke recipient will then receive a notification. What is a poke war? A poke war is literally a poke war: A continuous exchange of pokes to and fro between two users. These 'poke wars' serve no purpose and always end with one person giving up and deciding to stop poking back. There is no real end game if you choose to start a poke war, unless you plan to be relentless enough to out poke your opponent. 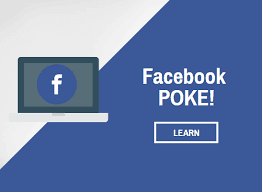 If you receive a poke from someone you do not want to poke back, you have the option to simply ignore it. Facebook allows you delete Pokes by clicking on the gray “X” so that you will not have to see the notification. If the notifications do not stop, you always have the option of blocking the sender, especially if you are not friends with them. Facebook does not allow users to send multiple pokes to someone that they have already tried to poke until the recipient of said poke replies or pokes back. Thankfully, this means you can not be harassed by another user or have your notifications blown up by twenty pokes from the same person.